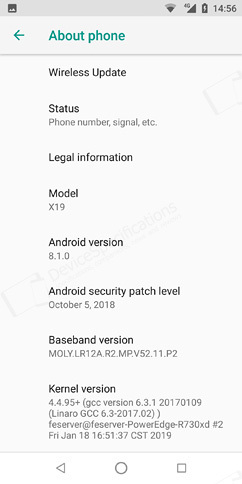 Cubot X19 runs on stock Android 8.1 Oreo which we have covered for quite some time. 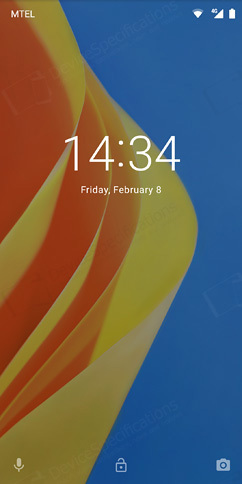 The user interface is familiar with stock design and functionality. 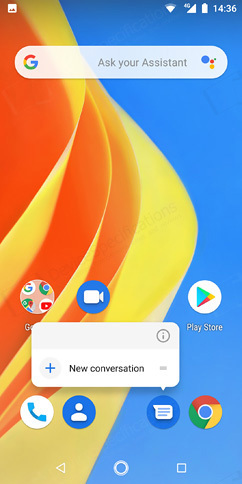 The Lock Screen goes away after a swipe, the Home Screen greets you with the Google Assistant, favourite apps and a docked row of apps. 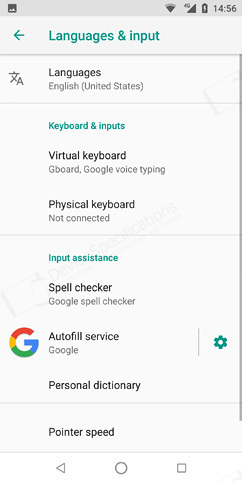 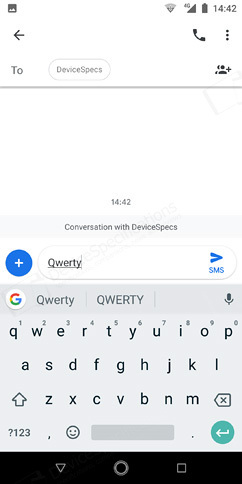 The Google App is activated by default and the apps are listed in alphabetic order on one page with an app search bar on top. 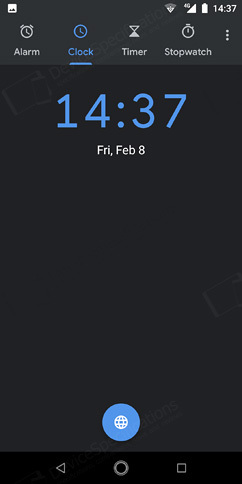 The Widgets menu offers the traditional widgets, wallpapers and home screen settings. 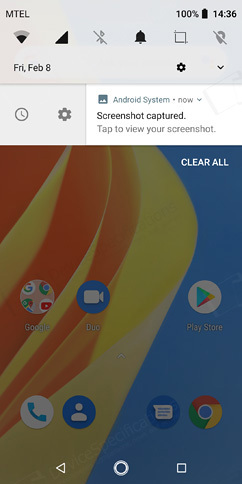 The Task Manager supports split-screen mode and tiles the apps vertically as usual. 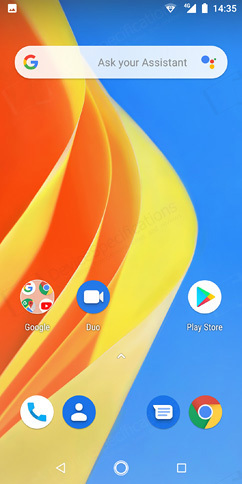 A convenient Clear All icon is placed in the bottom left corner. 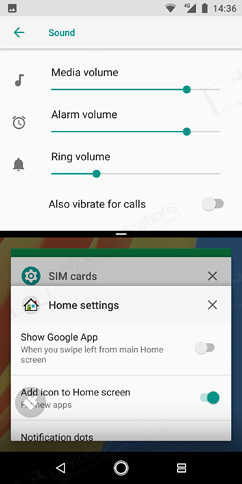 The Notification cards and Quick Settings shade also appear to offer nothing different than what's already known. 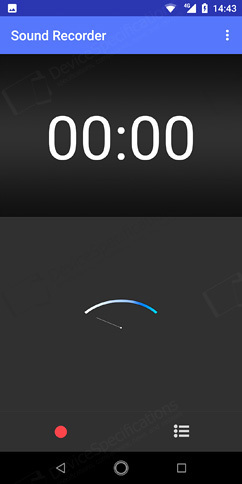 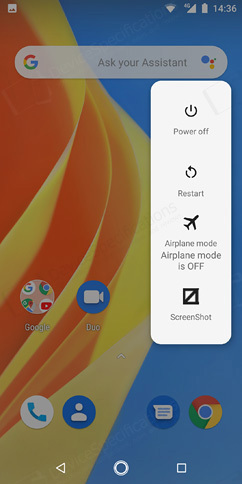 Cubot has added a screenshot option to the Power Off menu in addition to the Airplane mode, Power off, and Restart. 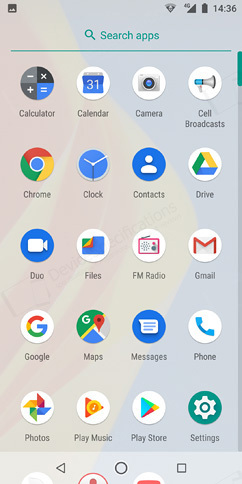 Our review unit has all the basic Google apps and the default Android ones. 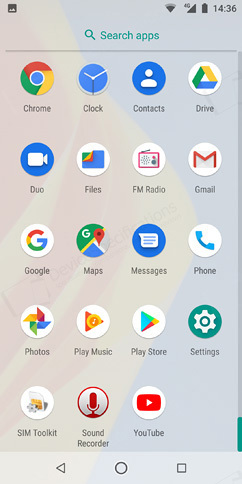 The first group includes Calendar, Chrome, Drive, Duo, Files, Gmail, Google App, Maps, Photos, Play Music, Play Store, YouTube. 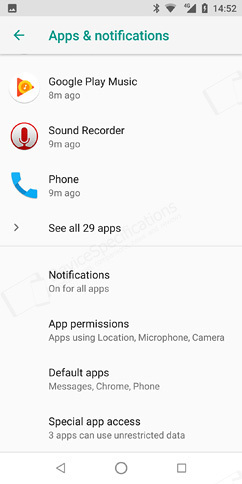 The second group includes the Calculator, Camera, Clock, Contacts, FM Radio, Messenger, Phone, Sound Recorder. 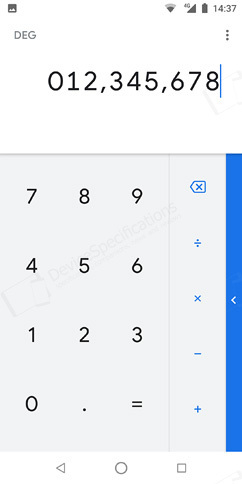 All of them are in their stock Android appearance and functionality. 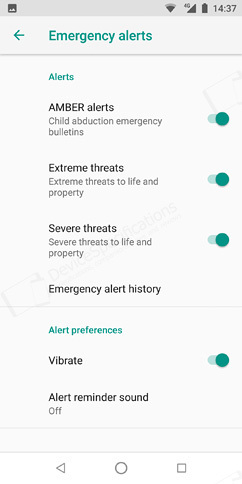 There's a Cell Broadcast app as well for emergencies warning. 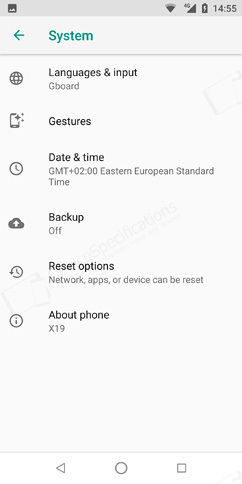 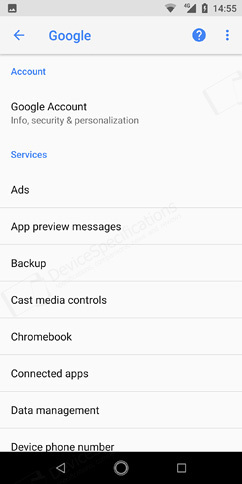 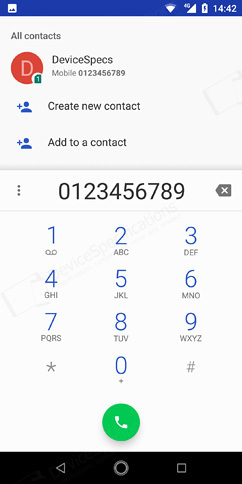 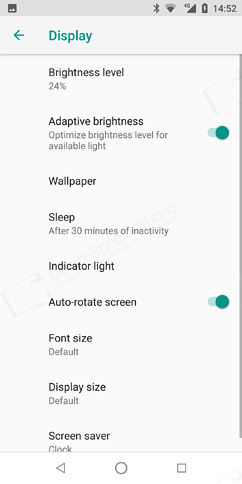 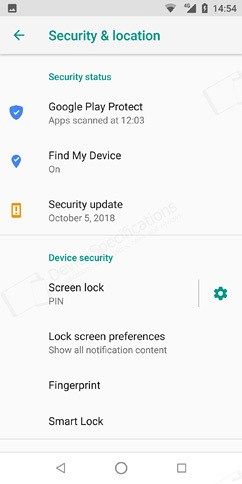 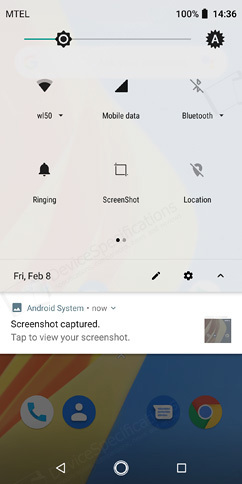 The Settings menu is a stock Android 8.1 Oreo one and arrives with no additional options for customization. 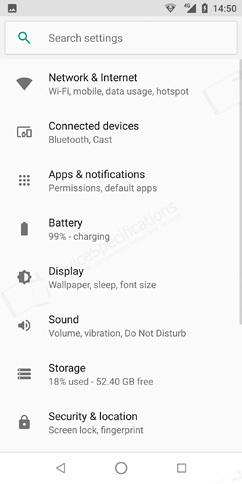 You get the usual connectivity settings allowed under the Wireless & internet and Connected devices groups. 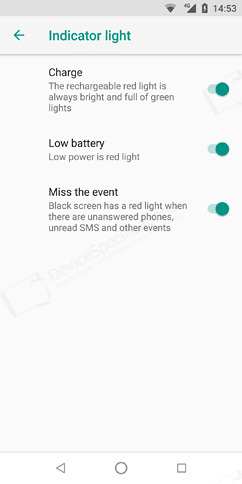 The Display menu allows you to adjust the brightness, toggle on/off adaptive brightness, manage the LED notification light, etc. 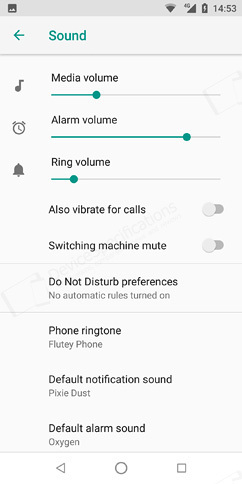 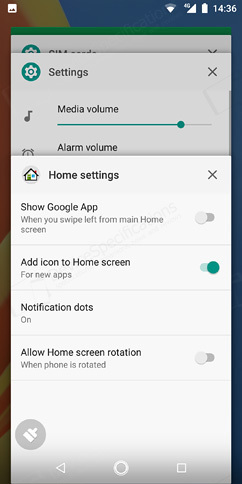 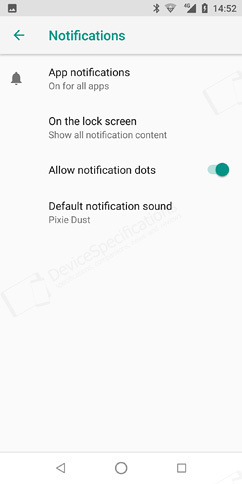 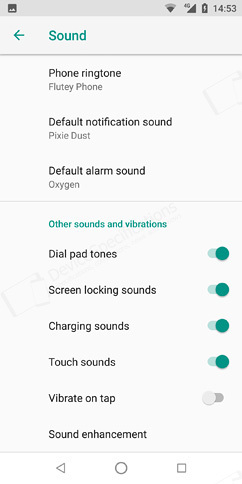 The notifications and app settings are standard, so are the Sound options. 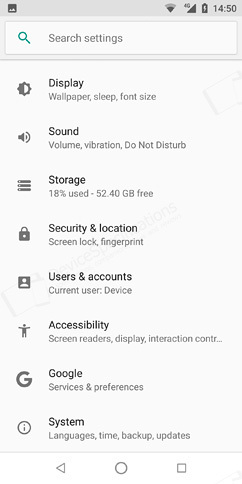 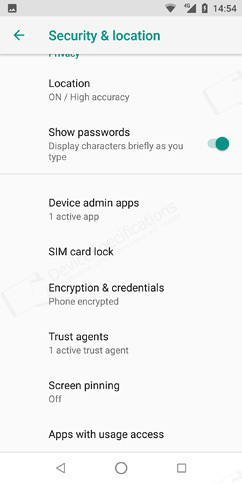 The Security settings also offer the usual options: fingerprint management, screen lock and lock screen preferences, privacy settings, etc. 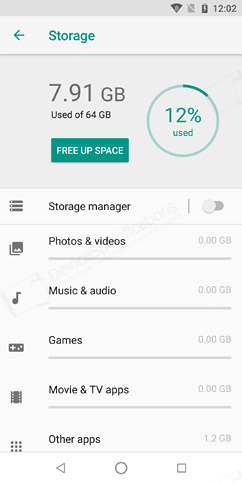 The Users & Accounts group allows you to manage both your accounts and the users with their rights to operate with the smartphone. 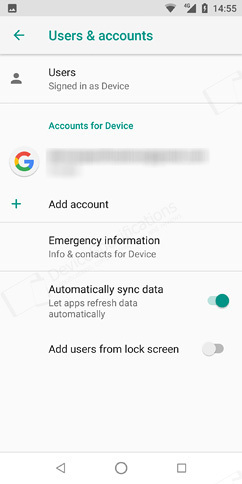 The emergency settings are there as well - you can set up emergency data and contacts. 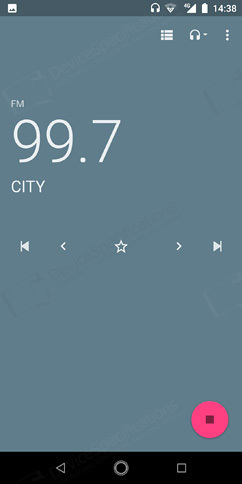 You get the usual accessibility and language options. 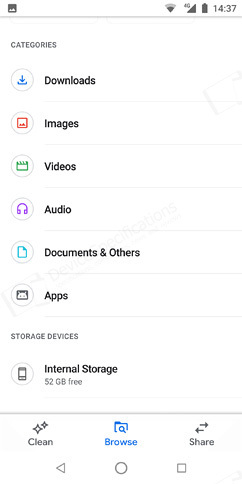 The latter is found under the System settings group together with the About Phont, backup and reset, etc.